I showed you the entire Glitter Gal Holiday in Oz collection in my previous post, check it out here for swatch photos, reviews and purchasing info. 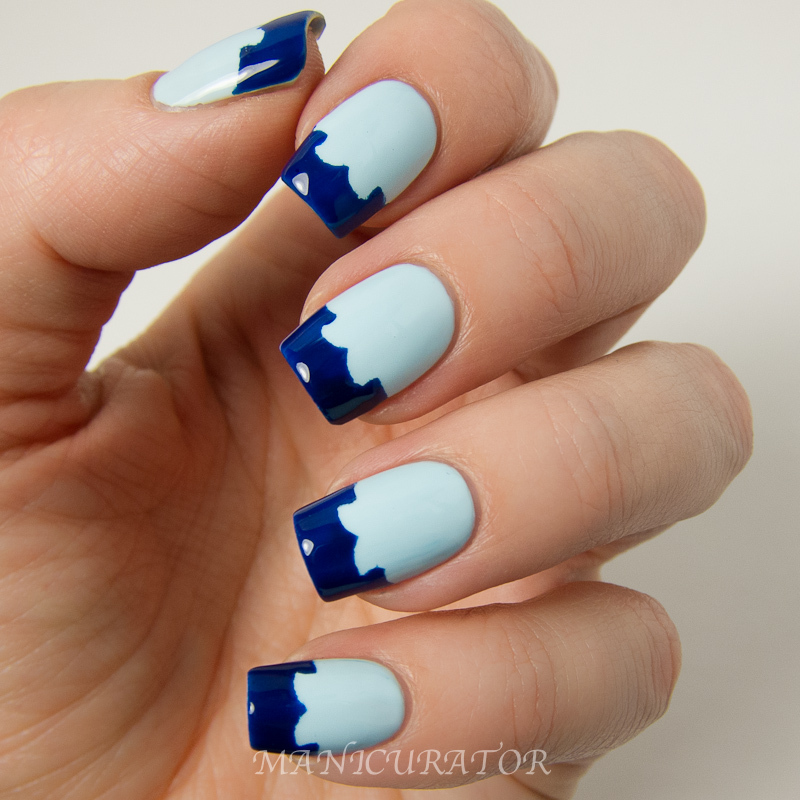 Now I'd like to show you three nail art designs I created with a few of these shades. 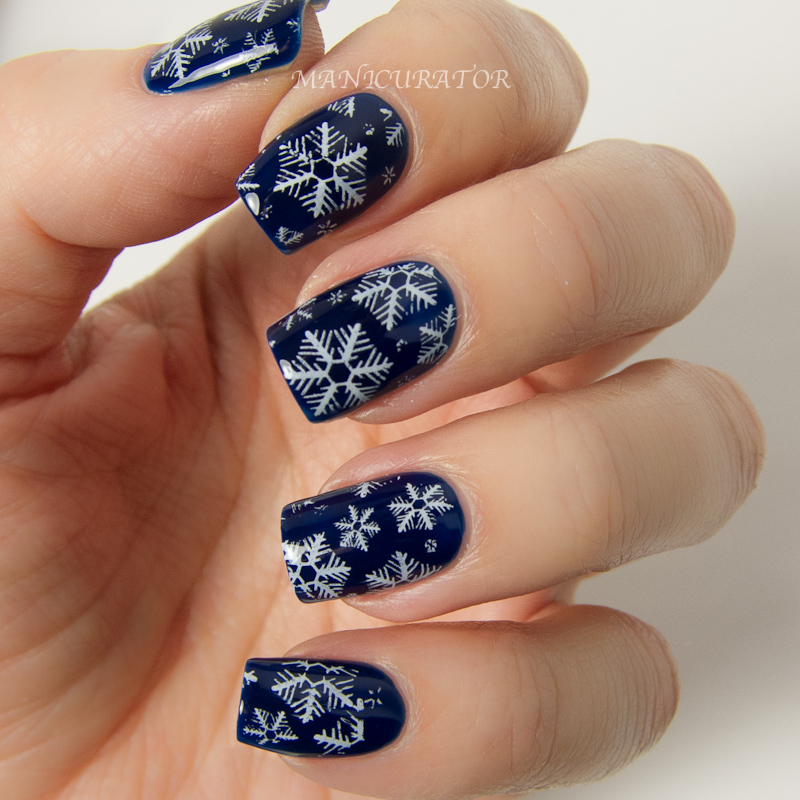 My stamping isn't perfect...but it's getting better! Next up is a guest post mani I created for Leslie from workplaypolish.com for her Blogging for a Cause series. Check out that post here and read about her brilliant fund raiser and see all the other ALL STAR bloggers' creations. 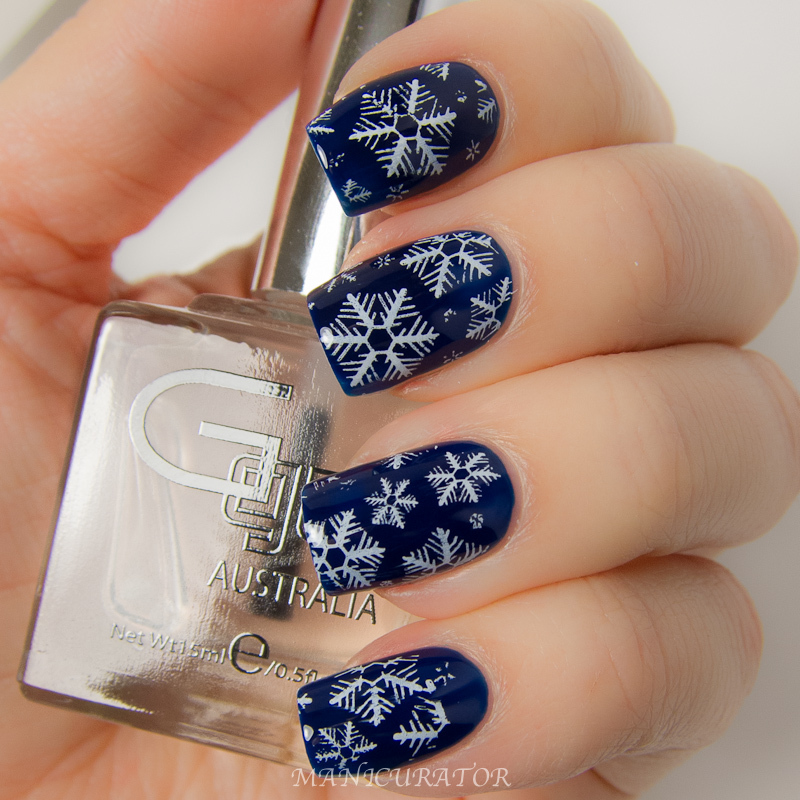 I used Glitter Gal White Pointer, Big Smoke and True Blue Aussie for the gradient. 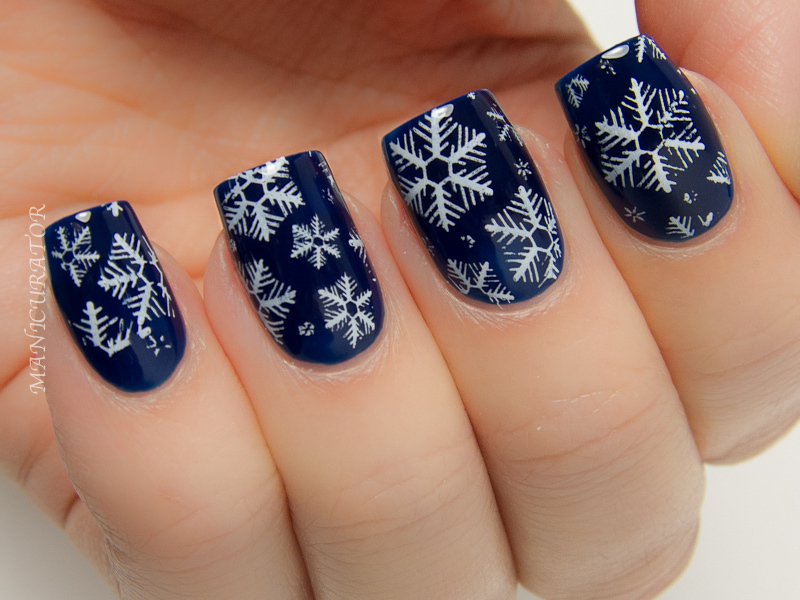 The snowflakes are home made decals using White Pointer. And lastly, a simple french tip...with a twist. I used a craft store punch (shown in last photo) and tape to help me create this using Glitter Gal Bluemerang and True Blue Aussie. 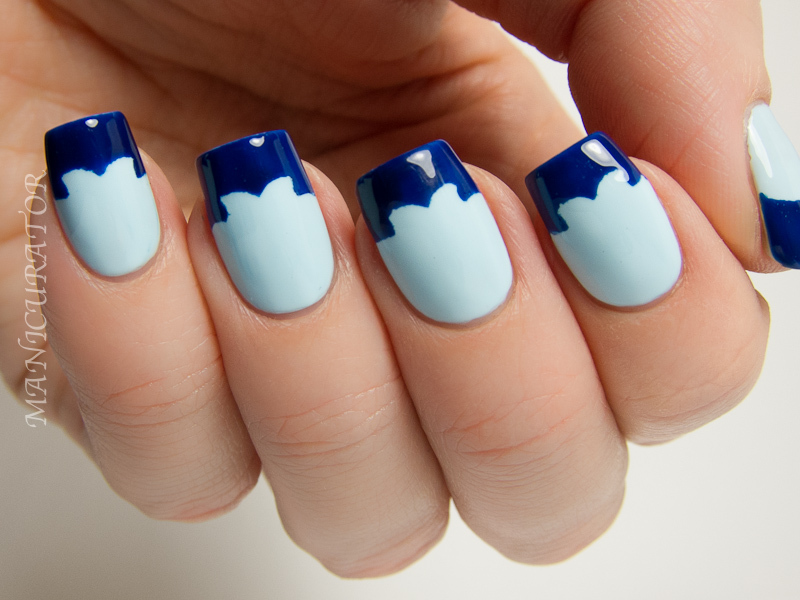 This first photo (above) shows the design without top coat and the rest have Gloss Boss top coat. I'm really happy with how all of these turned out! 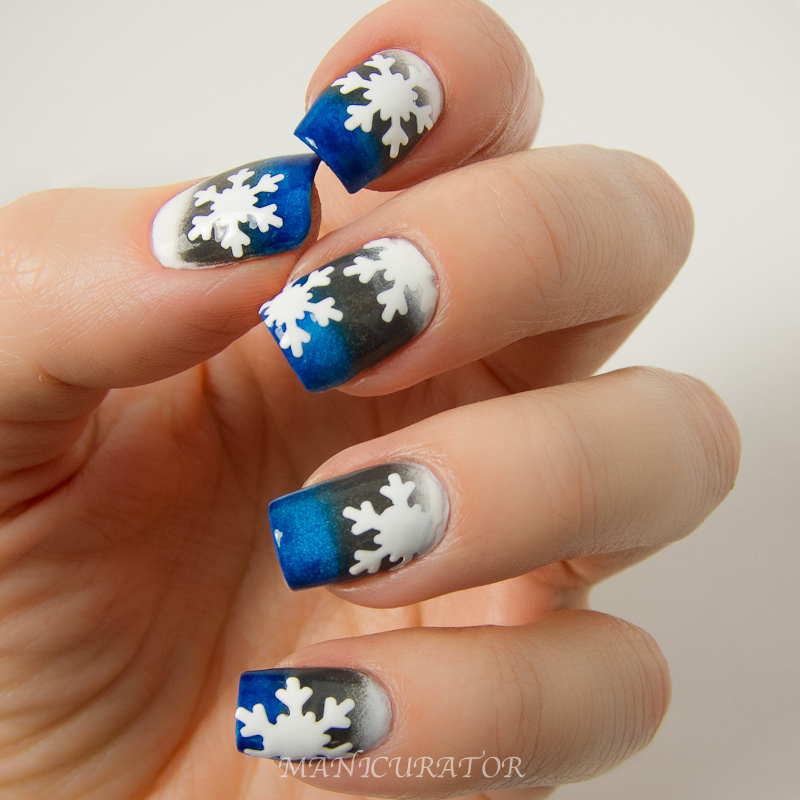 But if I had to pick a favorite it would be the snowflake decal mani for both the reason I made it, and how it turned out. Which is your favorite? omg that last design is awesome!!! They are all very nice manicures! 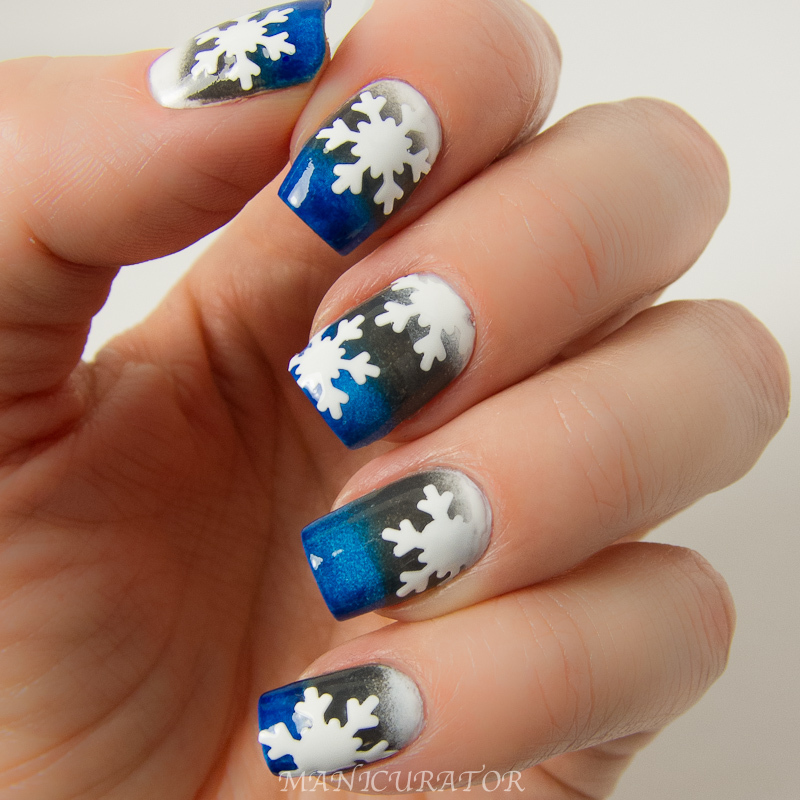 Love the snowflake decal mani! But I don't have a favourite because all of them look amazing!